For most shamanic druids the drum is the most important of all his tools, the "horse" that he rides on journeys to the inner worlds. His drum will often have a name and be a valued companion and friend. Tau Blaise (+Alistair Bate) trained in Celtic Shamanism with renowned Celtic shamans John and Caitlin Matthews over a decade ago and is available for sacred drum journeys via skype from his healing sanctuary in the Alps. These consultations will normally take at least 45 minutes and involve approximately 20 minutes of drumming, the drum helping the client to achieve an altered state of consciousness, which is both profoundly relaxed and alert, an ideal state in which to perceive the lessons of the inner worlds, to grow in wisdom and seek empowerment. Full instruction is given before each journey, which is followed by a few minutes feedback. Typically with a new client Tau Blaise introduces the session with a simple power animal retrieval. With more advanced students journeys to the upper world and underworld are suggested for various purposes including healing and soul retrieval but journeys simply for personal spiritual growth and general interest are also fine! 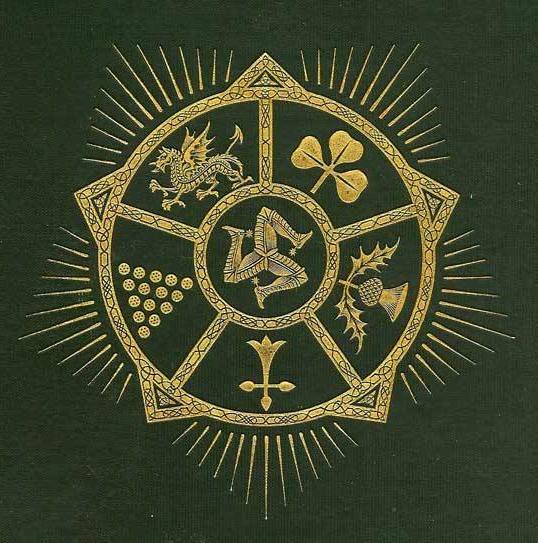 Celtic Shaman or Celtic Saints cards may also be used for inspiration before a journey. The cost of this service is a mere 15 euros payable by pay pal or bank transfer. Combined with a reading a one and half hour session is offered at 25 euros. Your power animals and guides are waiting to instruct you. Do not delay, take a journey today! Please use the contact form below. "Shamanism is not based on sacred texts, an institutionalised priesthood, fixed places of worship or scripted rituals and ceremonies. It is centred on the individual figure of the shaman. ... No faith is required. Shamans are judged by their powers and their success in using them." "Praise be to all the saints and fairies"